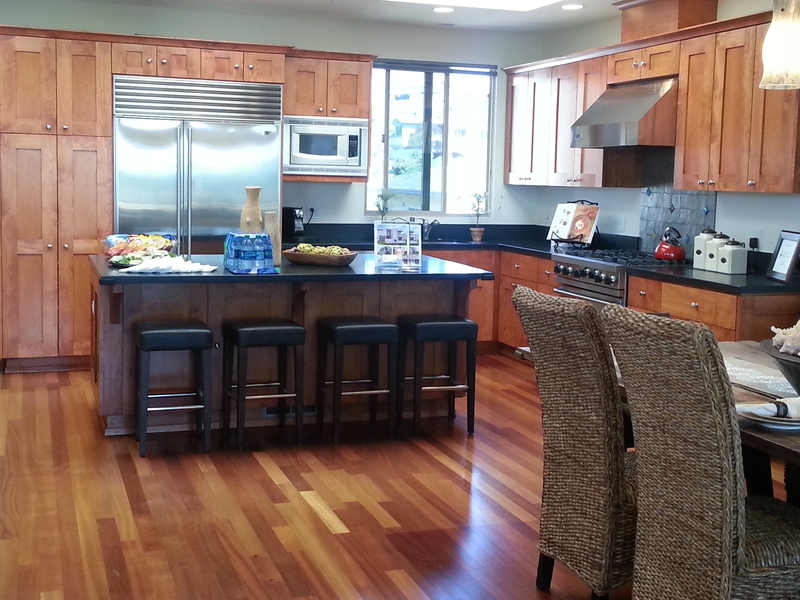 Brokers Open today in Hermosa Beach had a strong showing. There were a handful of great properties that just hit the market and are sure to fly off the shelf. 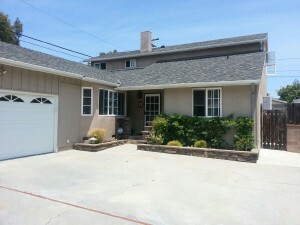 My favorite was 1018 17th Street in the Hermosa Hills. It’s a townhome built in 2005. I’m dying to know who the builder is because it has a unique look and feel rather than the typical cookie cutter floor plans and generic finishings. 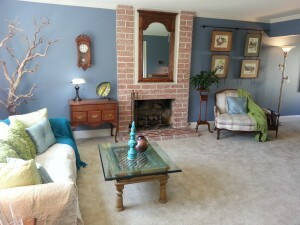 There is a master bedroom and 2nd large bedroom on the entry level. 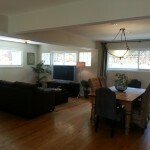 Two more bedrooms and bathroom and are located on the lower level. Then on the top floor you have the Great Room. It’s all open but you feel like each area gets its own space rather than all being jam packed next to each other. Well placed skylights keep the room light and airy. The balcony offers an intimate setting for outdoor entertaining with new ocean views. I was out on Brokers today and here’s a listing that I liked a lot. 3635 Michelle Drive in Torrance. It’s listed at $849,000 by RE/MAX Estate Properties. It’s in a good location on a lovely street. It has a really nice, homey feel. It has some nice updates but there’s room for more – which always means more equity! This one is worth checking out. Cozy Living room that opens up to Dining room. 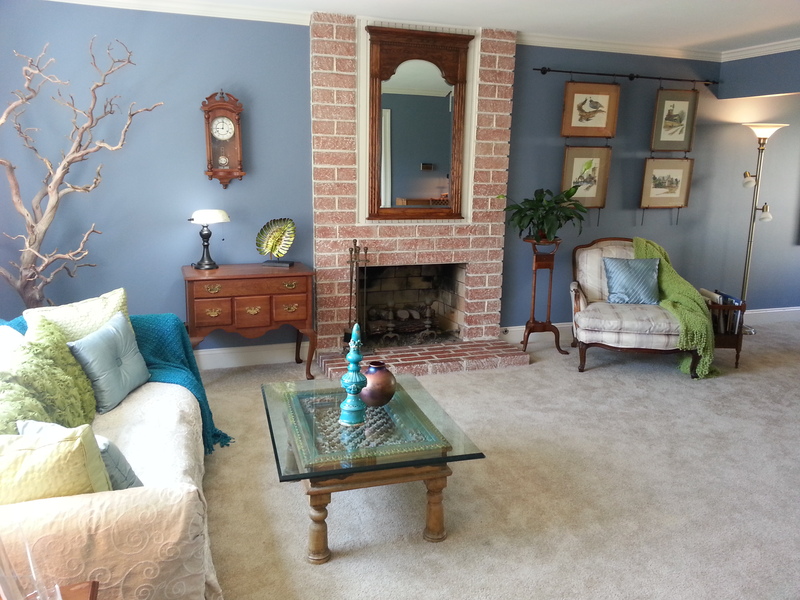 I saw a really cute 4 bedroom in central Torrance today (Are 126) during Brokers’ Open. It’s 1208 Fonthill Avenue. What I like about it is this typical floor plan has been nicely updated and given a fresh look. The kitchen is well done and opens to a dining area off the living room. And there is a large master suite in the upstairs addition. It has 4 bedrooms and 2.5 baths with 2,342 sq. feet. It’s priced at $818,000. This is definitely one to check out! Today’s Brokers’ Open had the predictable properties with familiar floor plans. But one property in particular stood out for its charm and character. 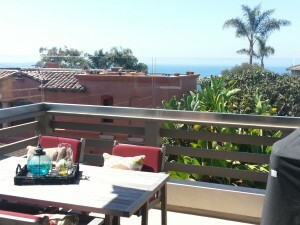 1560 10th Street came on the market this week and is listed for $1,389,000. It’s a 4/3 with 2400 sq feet on a corner lot. The downstairs has a nice, airy open feel. The kitchen is not updated, but everything shows well and is clean. The upstairs, however, offers a nice surprise. The vaulted ceilings and exposed rafters give a cottage feel that is further accentuated by many details. Two of the bedrooms have lofts, offering delightful playrooms for children. The master bedroom is the ultimate in charm with large windows, letting in a lot of light. 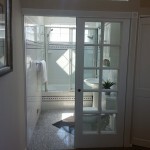 And French doors that lead to the master bathroom add to the rooms quaintness and allow additional light to stream in. The space is well utilized in this home, and the price allows an affordable price point for a lovely home in Manhattan Beach. 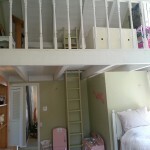 The lofts in two of the bedrooms offer additional space to play. French doors that lead into the bathroom contribute to the homes cottage feel and allow additional light into the master bedroom.